From the brooding poster (pictured), I got the impression I was going to see a psychological thriller about a killer with a split-personality. 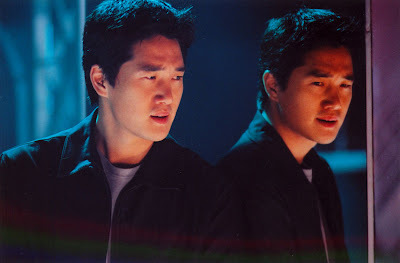 Instead I was pleasantly surprised to get a movie with a split-personality - half detective thriller, half horror movie. Ji-tae Yu stars as the store's security chief, who's resigned from the police after a hostage situation went horribly wrong (that may sound corny, but they've added plenty of twists). This young and attractive actor is one of Korea's biggest stars, judging by some of his recent credits - he was suitably sinister in the superb Oldboy, he starred in the futuristic police actioner Natural City, voiced a character in the sci-fi animation Wonderful Days (aka Sky Blue), and had major parts in Siren (aka Libera Me) and the enjoyable teen slasher Nightmare (aka The Horror Movie Game). No wonder he looks familiar. Once the supernatural elements have emerged, the film reverts to a detective story, keeping the film firmly in the realm of the realistic. The cast are likeable and play it suitably seriously. The actor playing the lead detective (who refuses to believe that ghosts are involved) was so convincing that I almost believed it was all going to be explained away rationally. One or two of the mirror effects are a little cheesey, but for the most part they are quite startling. The direction is imaginative and whenever the story starts getting a little too familiar, there's always another twist on the way. 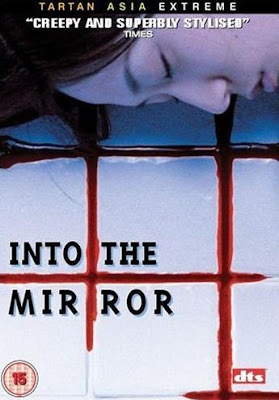 I couldn't recommend Into The Mirror as full-on horror, and would be reluctant to sell it as a police thriller because of its supernatural content. But I can recommend it as unique and entertaining. 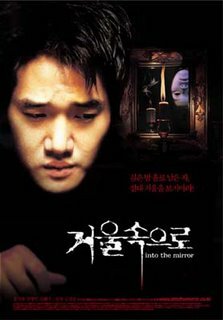 UPDATE, January 2008: Alexandre Aja set to release a remake of this as Mirrors, starring Kiefer Sutherland! This would just be your average Saturday afternoon black and white movie if it wasn't for the fact that it's also the blueprint for the classic spoof AIRPLANE! (1980). Following the glut of big-budget disaster movies throughout the seventies, and no less than four AIRPORT movies, AIRPLANE! arrived to lampoon them all, and disco too. After the success of their KENTUCKY FRIED MOVIE, Jim Abrahams, David and Jerry Zucker wrote and directed AIRPLANE!, which lead to many more of their genre spoofs - including THE NAKED GUN trilogy, the 2 HOT SHOTS, TOP SECRET and JANE AUSTEN'S MAFIA! The inspiration came from watching American late-night and breakfast TV (there was no breakfast TV in Britain at the time, but we still got the joke). They were collecting material for the sketches that made up KENTUCKY FRIED MOVIE, which is a series of skits on adverts, charity appeals, TV presenters and movie trailers - it's worth seeing just for the the fantastic 25 minute spoof of ENTER THE DRAGON. One night they caught ZERO HOUR! and it provided them with so much material that they could make a whole movie out of it. They took the plot, the characters' names and the ripest dialogue. 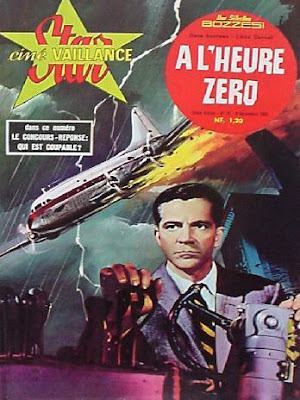 Whilst making AIRPLANE they even referred to a copy of ZERO HOUR to suggest camera angles! In fact, they bought the rights to the film, because they were pretty much producing a re-make, even though it's not credited as such. 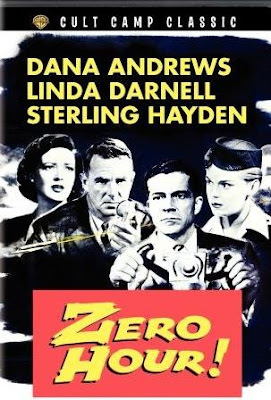 So try if you can and watch ZERO HOUR!, in which Dana Andrews plays ex-pilot Ted Stryker, a man haunted by stock-footage flashbacks of crashing planes, who has to land a plane on instruments, despite a howling storm and his unforgiving Air Force Captain guiding him down on the radio. Sterling Hayden's cigarette-chewing portayal of Captain Treleaven is extremely gruff, "I certainly picked the wrong week to give up smoking." 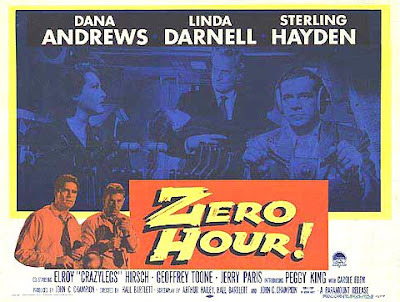 ZERO HOUR! 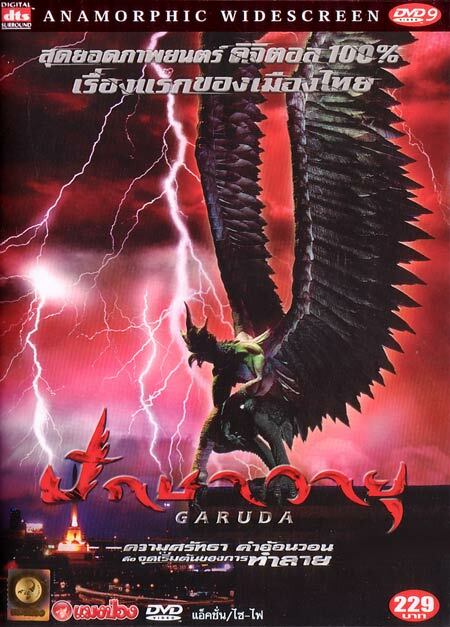 actually works well for a high-budget B-movie, the cast don't deserve being sent up, but the script certainly does. It was written by Arthur Hailey who started the whole shenanigans off by writing the bestseller AIRPORT. "To the tower, to the tower, Rapunzel, Rapunzel!" This weekend I was in Paris to see Mylène Farmer in concert. I’ve been describing her to friends as “France’s answer to Madonna”, but that’s doing Mylène a disservice. She’s been releasing successful albums and singles for twenty years now. Her music varies between dance, rock and melancholy pop. She sings about love and death, heavily influenced by gothic and romantic literature. Her videos are spectacular, liberated and often as controversial as her lyrics. She is reclusive and doesn’t grant many interviews. Her stage appearances are rare, the last was in 1999. Oh yes, and it’s all in French, which I don’t speak much of. But I love her music, her videos and her attitude. I saw Mylène at the Paris Bercy arena on January 14th, 2006, (having booked a ticket early in 2005). The atmosphere before the show was anticipatory to say the least. The papers reported that the first fans arrived 12 hours before the doors opened. Mylène arrived on stage in spectacular style that symbolised her re-emergence from self-imposed exile. Lowered from the arena roof in a white sarcophagus, she was carried to the temple-like stage by men in black. The set transformed throughout the evening and was constantly textured by images projected onto the backdrops and from under the immense catwalk. For anyone the show would be extremely entertaining, for fans it was an absolute treat. The dramatic staging of her final number was haunting and unforgettably magnéfique. She performed songs ranging from her earliest hits, like Libertine, to her latest, F**k Them All. These were presented variously as high-tech lightshows, flamenco dance routines or just straightforward rocking out. As a centrepiece to the evening, she sang some of her most heart-rending lyrics accompanied only by piano. Dressed in her trademark black lingerie, with her red hair coiffed like a candle’s flame, she was repeatedly reduced to tears. But whenever she stopped singing, the audience would carry on for her. For such a large venue, the event had many intimate moments. Besides the thirteen dates in January, there may be extra shows in May. But they can only be held at this Paris venue because it’s simply too large to tour. Thankfully the early performances have been filmed for an upcoming DVD release.